If you would like any further information regarding any of our activities or our set up then please send us an email or use the enquiry form here. 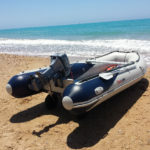 During the summer month we are often busy getting boats a float and teaching, so please give us a couple of days to reply. For the same reasons we are not always by the phone, so please do leave us a message or email and we will get back in touch. Whatever your age or ability, The Sailing Centre offer you the perfect opportunity to get into water sports. For those of you that are already hooked, we will do our best to cater for all your aquatic needs.